Terry Williams Speaker. (CSP) Laugh & learn. 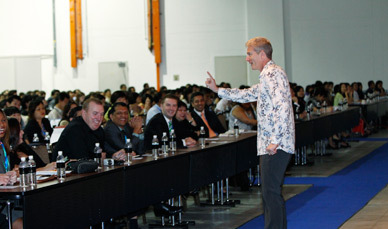 Terry Williams is an expert, author and motivational / entertaining conference keynote speaker on engaging people. A trainer and facilitator for over 25 years, he’s also a columnist in ‘Employment Today’ magazine. 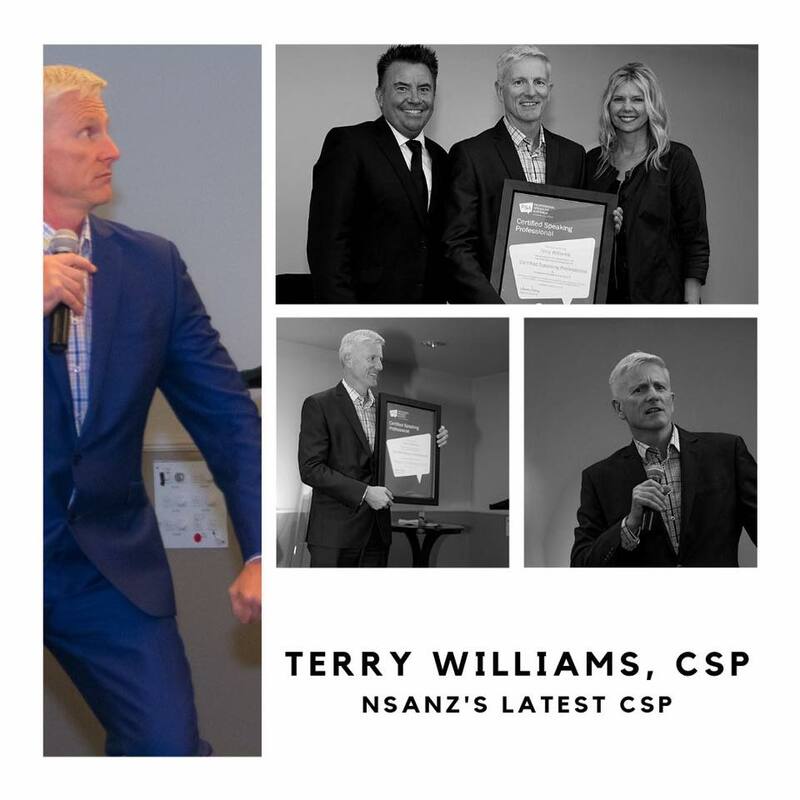 Terry is a CSP - a Certified Speaking Professional. This is the speaking profession’s highest earned international measure of professional platform competence. With this designation, meeting professionals looking to hire the best of the best see a commitment to the profession, be assured of a top-notch speaking ability, and a track record of professionalism and success. 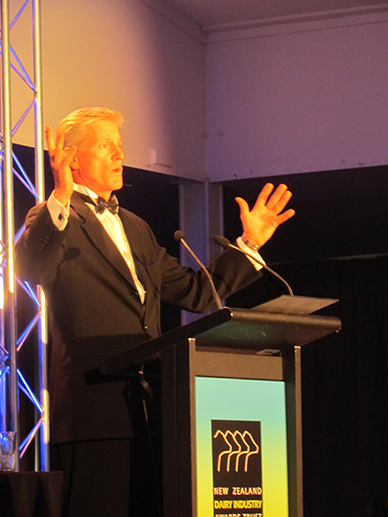 Less than 15 percent of NSA members worldwide have achieved the CSP designation and only 8 other kiwis. His book ‘The Brain-Based Boss’ takes psychological research and breaks it down, to make it interesting and useful for people wanting to improve their performance and engage the people they work with. He presents slices of his new book ‘Getting Better Buy-In’ offering practical things that frontline leaders can actually do to make a difference. I talk about you deliberately doing things that scare you to exercise your resilience muscles and to stretch and develop yourself - to get better at getting better. For you, your colleagues, your friends and family, it leads to a happier more productive life and less regrets looking back. I’m no one special. I’m just like you. I’m no adventurer like Indiana Jones. I’m no daredevil like Evil Knievel. I’m certainly no life-risking, challenge-smasher like Felix Baumgartner who based jumped from a balloon in space. But, I have since 2001 done 2 dangerous things a year. Dangerous by my own definition - things that scared, stretched and challenged me and yes even a few things that were literally dangerous by anyone’s definition. I focus on my dangerous journey into becoming a stand-up comedian. I’m not talking about the glib cliché of ‘do something every day that scares you’. I’m talking about 2 things a year that have big pay-offs but could also go wrong. I’ve experienced the benefits. I’ve done the study. I share these with my audience. More specifically, I encourage you, provoke you, and tool you up to do your own ‘dangerous’ things - to test yourself now so you’re ready when life tests you later. Firstly, most people do not challenge themselves deliberately, proactively and frequently. I tell you why not. Secondly, those that do challenge themselves deliberately, proactively and frequently reap the benefits of significant personal growth across their life and I tell you what those benefits can be. Thirdly, I provide you an 8-part framework to get past those obstacles, get you started, keep you going, AND pass these ideas and encouragement onto others you care about. My backstory on doing dangerous things. Sales people wanting to move customers away from inertia. Educators and community leaders wanting to safely drive positive change. Managers, Team Leaders and business leaders trying to snap their teams out of complacency and encourage their people to develop themselves personally and professionally. Professional associations wanting to experience a session with practical, relevant and appropriate content that is still fun, memorable and engaging. think they should do it now. The combination of all those conditions is what we label ‘motivated’. This presentation gives you structures, systems, tools and the design for environments that will allow and enable you to motivate yourselves when I’m not around. And, more importantly, for you to do the same with your people. Practical things that frontline leaders can actually do to make a difference. 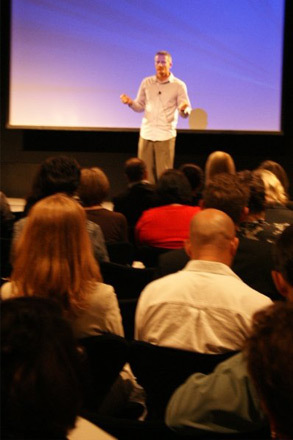 The ideas and tools in this presentation are backed by research and forged in real life experience. They work. But we need to get away from this notion of motivation being you saying something to someone enthusiastically like a cheerleader or forcefully like a Marines Drill Sergeant, or an impassioned plea to go out and win one for the Gipper. They are easy images to conjure up but they’re not how lasting motivation is managed in the real world. They’re movie set-pieces and you’re not Al Pacino. How can you engage your people and move them to move with you, buying into your mission, goals and changes? Have you ever tried to scope the sheer scale of the cost of your staff churn, disengaged employees and turnover? Never mind the recruitment costs, what about all the indirect effects on productivity and morale as people depart, arrive, learn, remake mistakes & institutional knowledge walks out the door with their stapler. It’s a spiral. It’s a small world made smaller by the internet. You do not want a reputation as a poor employer as you know that’ll drive away talented people and, soon after, drive away customers. Well, what do you want? You’d like to know that the effort will be worth it. You’d like to know what drives these engaged employees. You’d like to know the specific actions you can take to influence the choice of talent to... choose... you. The title ‘Workplace of Choice’ is a red herring. Talent wouldn’t be choosing your workplace, they’d be choosing YOU. (Or not...?) Tools for managing change and influencing behaviour based on an extensive collection of workplace and psychology research - all told in an engaging style not an academic lecture.